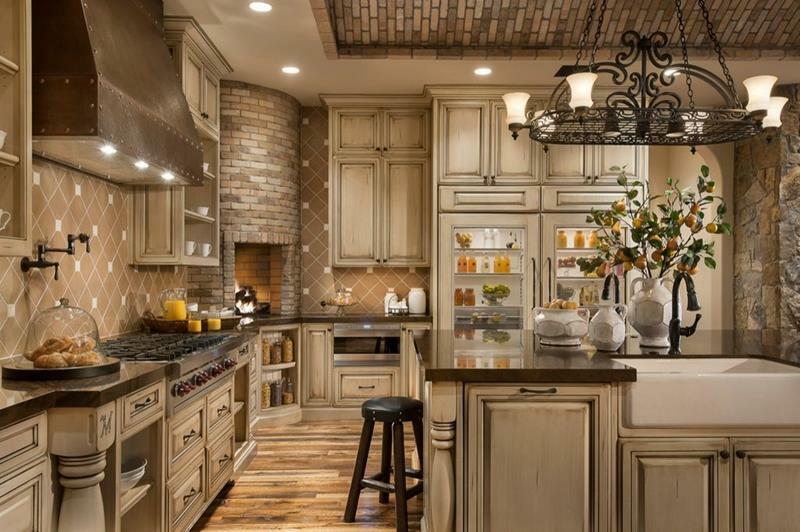 If there’s one room in any home that most homeowners obsess over more than any other, it’s undoubtedly the kitchen. Maybe it has to do with the fact that everyone’s obsessed with becoming a stellar home cook these days. Maybe it’s the fact the people just can’t get enough of choosing between different kinds of cabinets, countertops and appliances. Whatever the case may be, if there’s one place in which a homeowner wants to take pride in his or her home, it’s definitely the kitchen. Now, when it comes to kitchen design, there are a number of different design aesthetics that one can go for. One of the most popular is the rustic aesthetic. There’s something about this look that’s able to meld that classic feeling of hominess with a feeling of luxury. In short, just because something is rustic, that doesn’t mean that it looks old and outdated! 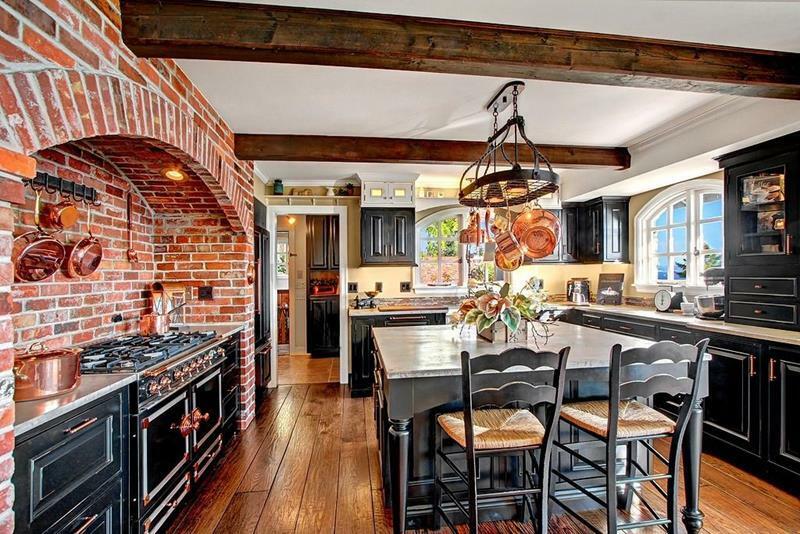 The lovely brick work here along with the gorgeous old-style appliances really completes the rustic look for this kitchen. 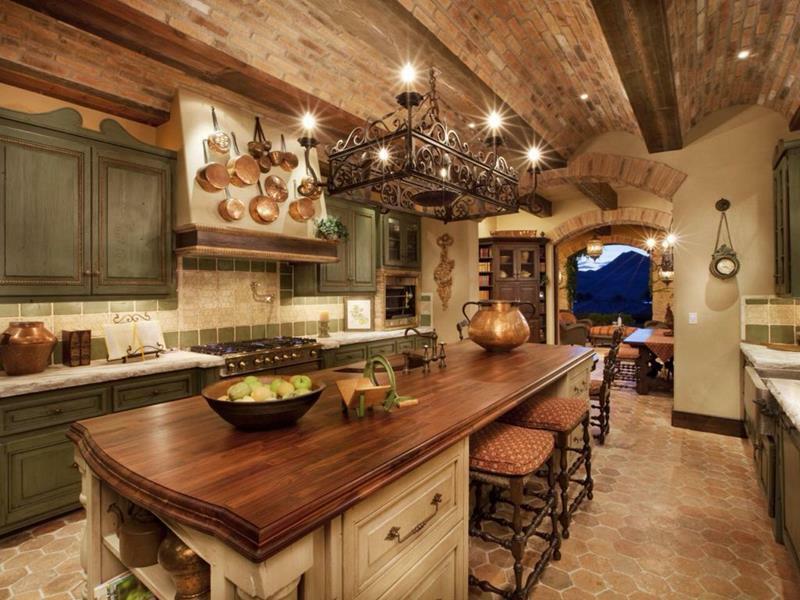 This gorgeous kitchen design proves that a rustic look and a luxury feel are not mutually exclusive things. 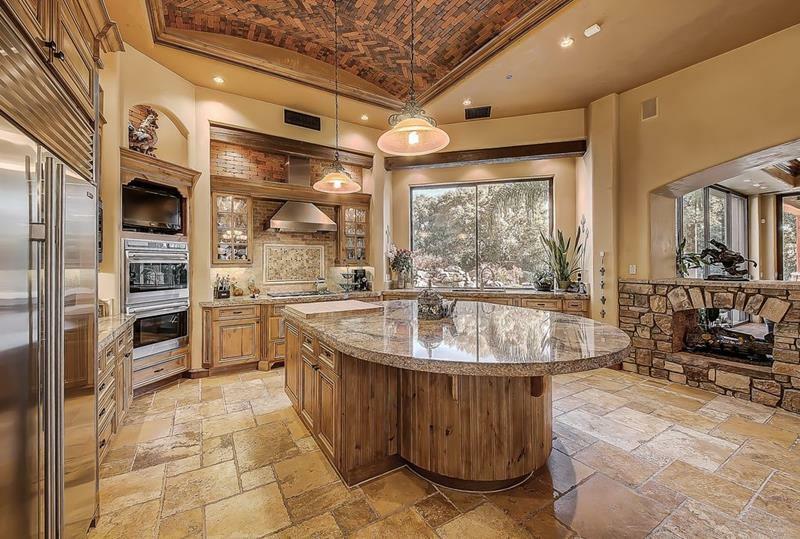 The really neat feature of this large rustic kitchen is the fireplace that stands between it and the living space beyond. 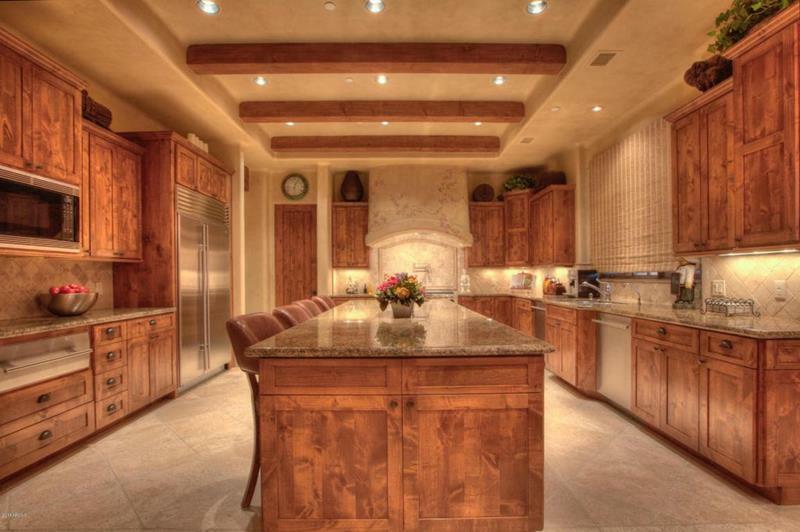 Here you have a beautiful rustic kitchen that’s look is entirely defined by the beautiful wood used for the cabinetry. 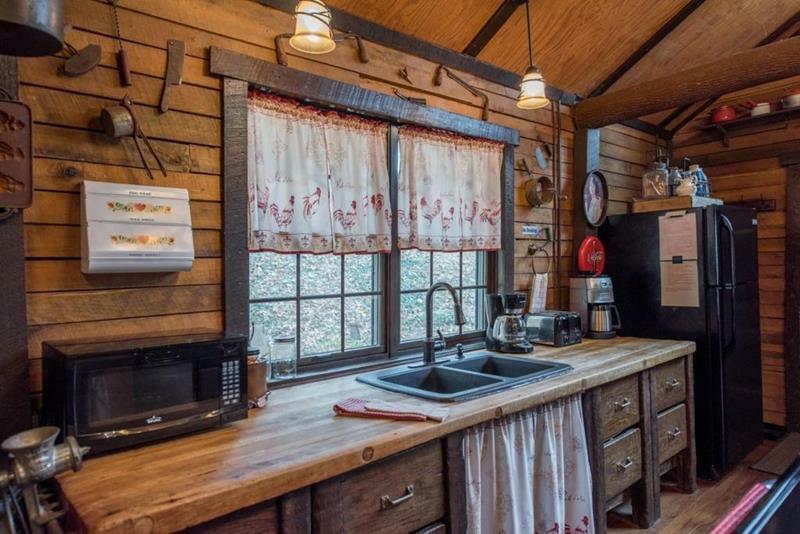 The reclaimed wood and rugged styling of this kitchen creates a very unique take on the rustic aesthetic.